Intelligence testing is the estimation of a student's current intellectual functioning through a performance of various tasks designed to assess different types of reasoning. A student's intelligence quotient (IQ) is typically measured by standardized testing with norm-referenced tests. Verbal Intelligence is the ability to comprehend and solve language-based problems. Nonverbal Intelligence is the ability to understand and solve visual and spatial problems. Intelligence is sometimes referred to as the intelligence quotient (IQ), cognitive functioning, intellectual ability, aptitude, thinking skills, and general ability. Why Is Intelligence Testing Important for Learning Disabled Students? Intelligence testing is done to better understand how well a child can be expected to perform and to assess a student's needs. In most cases, intelligence testing is required by federal special education regulations to confirm or rule out the presence of mental disabilities and to establish IQ for the purposes of diagnosing a learning disability. Depending on the type of intelligence test administered, it may provide important information on how students approach problem-solving. Properly interpreted, intelligence testing help educators develop appropriate specially designed instruction and educational strategies for individual educational plan (IEP) development. What Are Common Types of Intelligence Tests? Group intelligence tests usually consist of a paper test booklet and scanned scoring sheets. Group achievement tests, which assess academic areas, sometimes include a cognitive measure. In general, group tests are not recommended for the purpose of identifying a child with a disability. In some cases, however, they can be helpful as a screening measure to consider whether further testing is needed and can provide good background information on a child's academic history. Individual intelligence tests may include several types of tasks and may involve easel test books for pointing responses, puzzle and game-like tasks, and question and answer sessions. Some tasks are timed. The Wechsler Intelligence Scale for Children (WISC) and the Stanford Binet-Intelligence Scale, formerly known as the Binet-Simon Test, are examples of individualized intelligence tests. 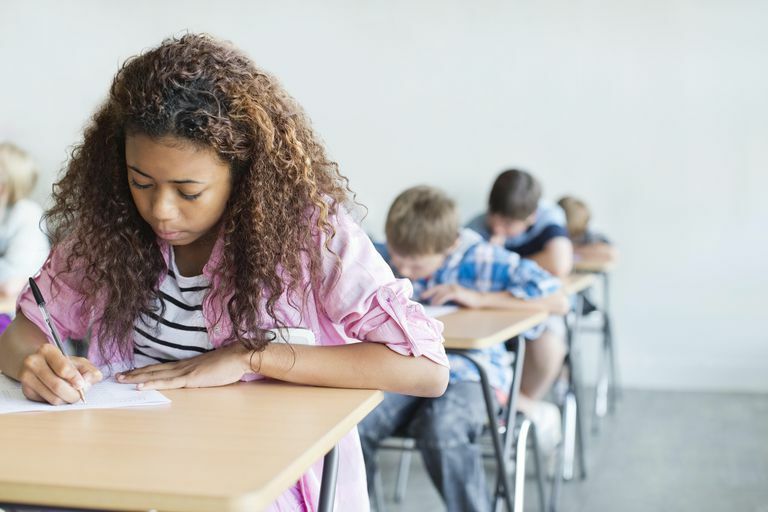 The WISC test includes language-, symbol-, and performance-based questions while the Stanford-Binet test helps to diagnose students with cognitive disabilities. Computerized tests are becoming more widely available, but as with all tests, examiners must consider the needs of the child before choosing this format. Nonverbal intelligence tests such as the Comprehensive Test of Nonverbal Intelligence (CTONI), Universal Nonverbal Intelligence Test-Second Edition (UNIT2) are used to assess students who have language processing problems or those with limited English proficiency. In these tests, tasks are designed to remove verbal intelligence from the assessment of a child's reasoning abilities and to isolate and assess a student's visual learning skills.